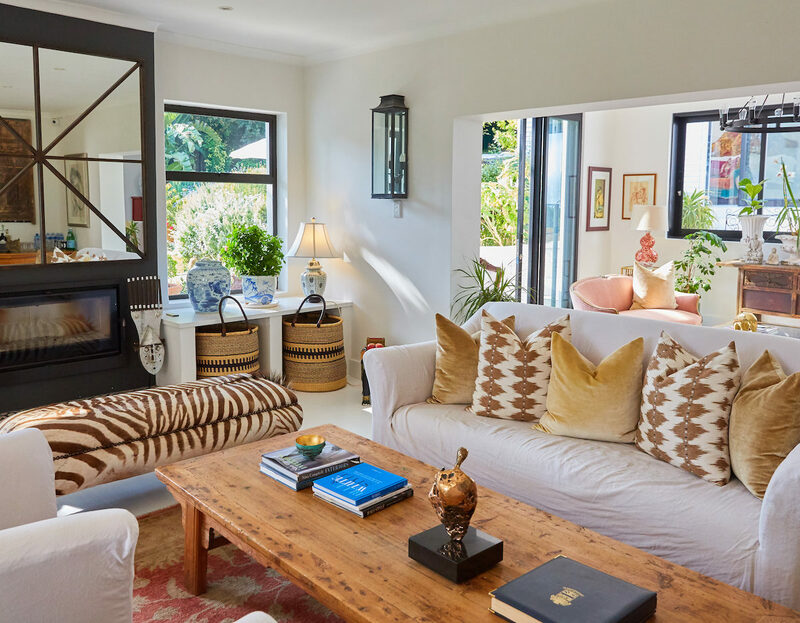 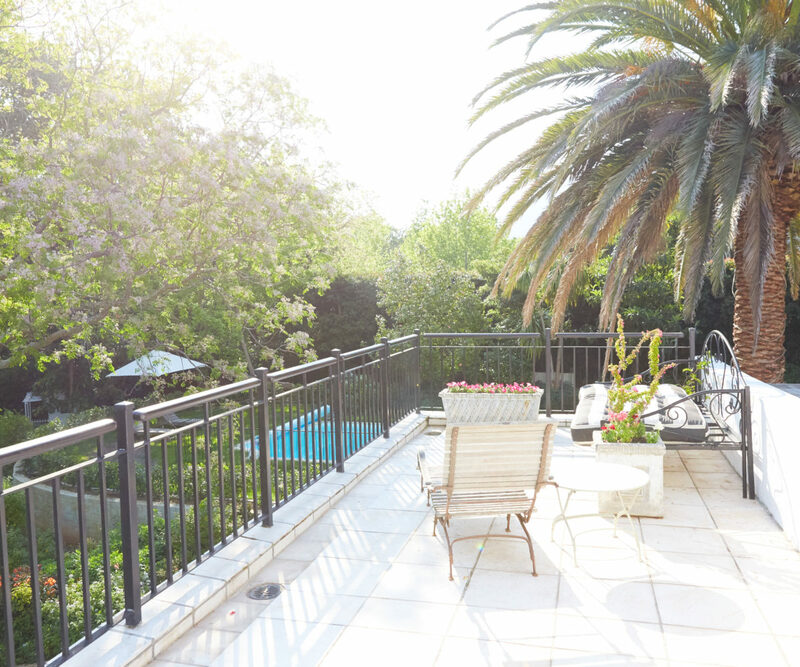 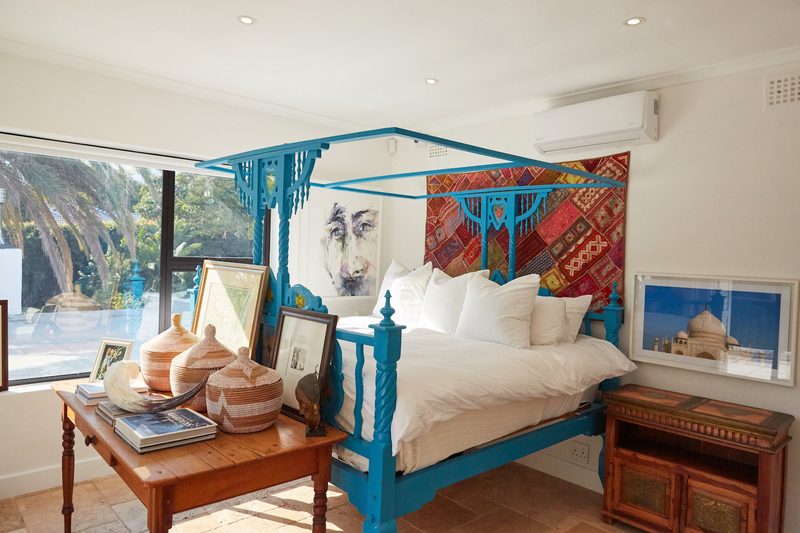 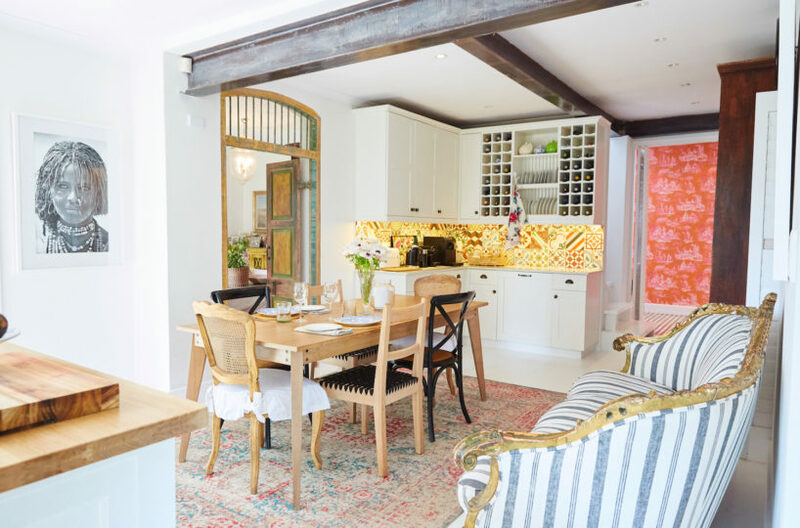 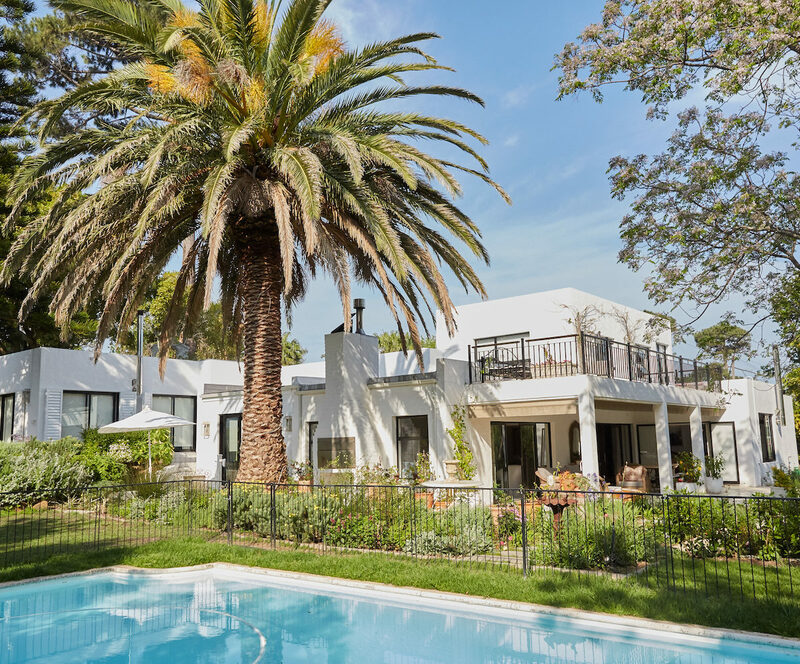 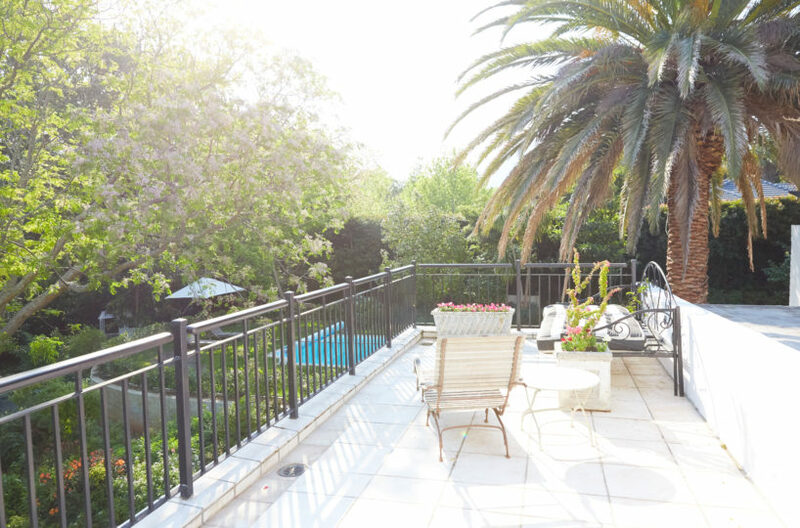 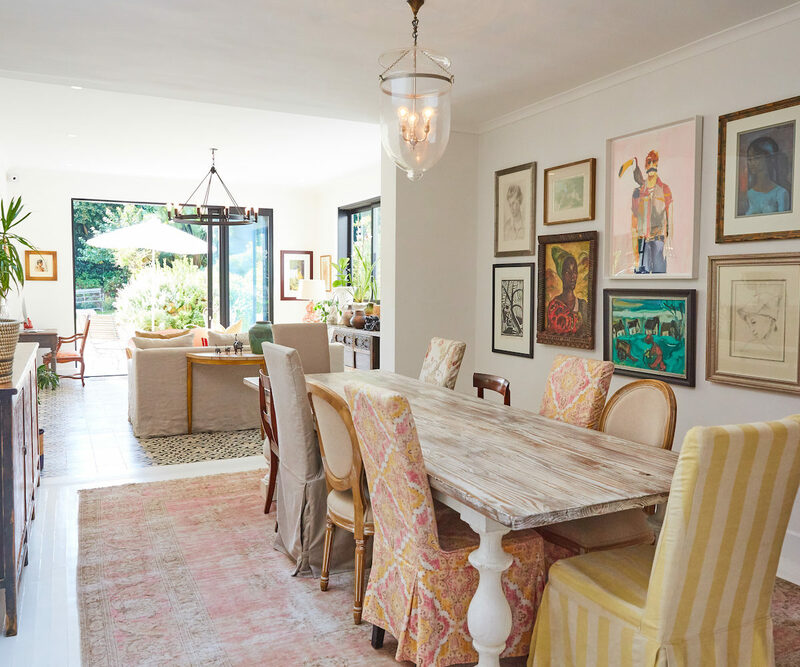 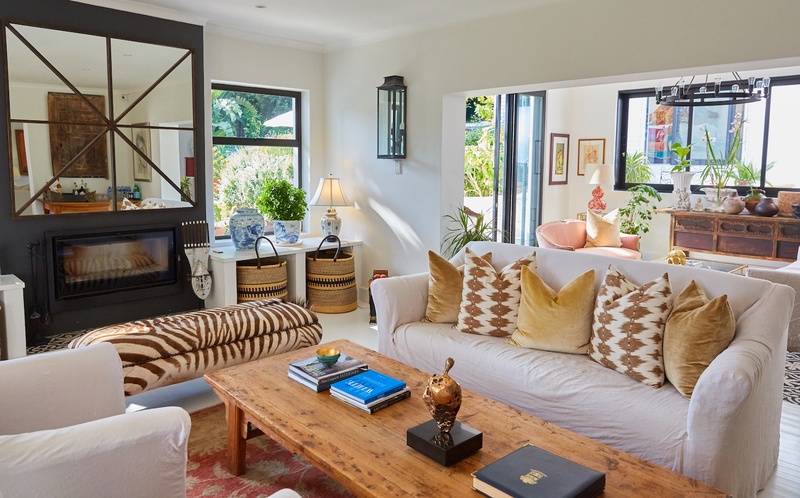 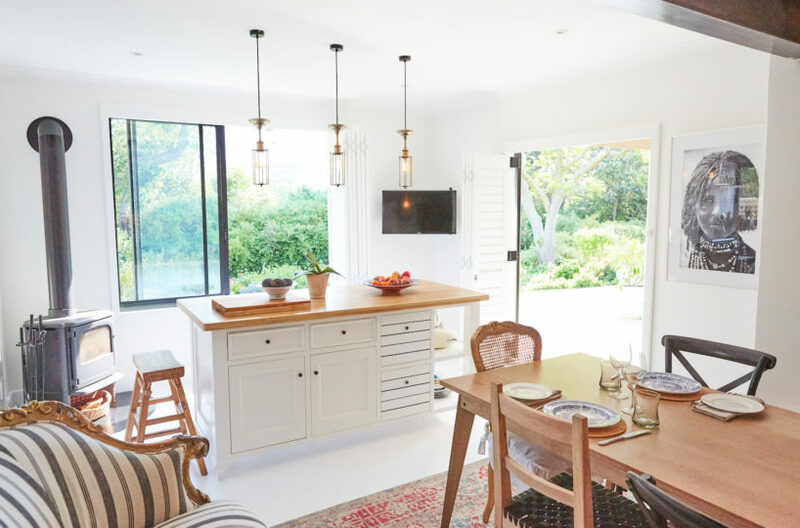 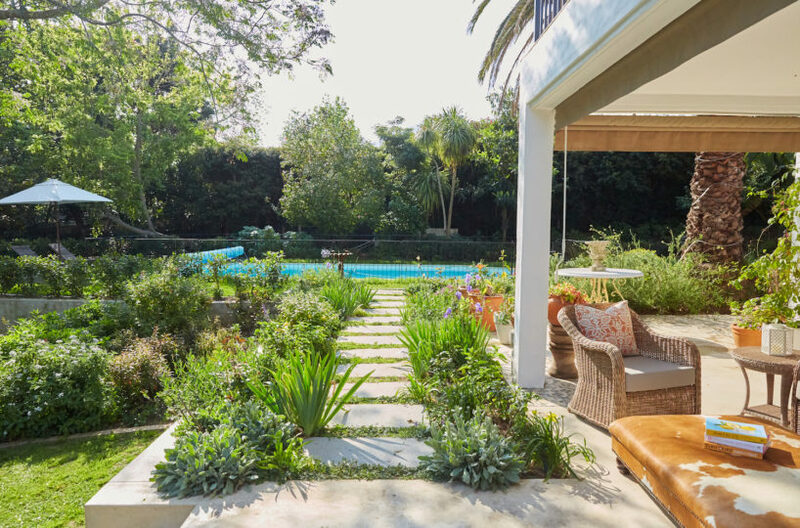 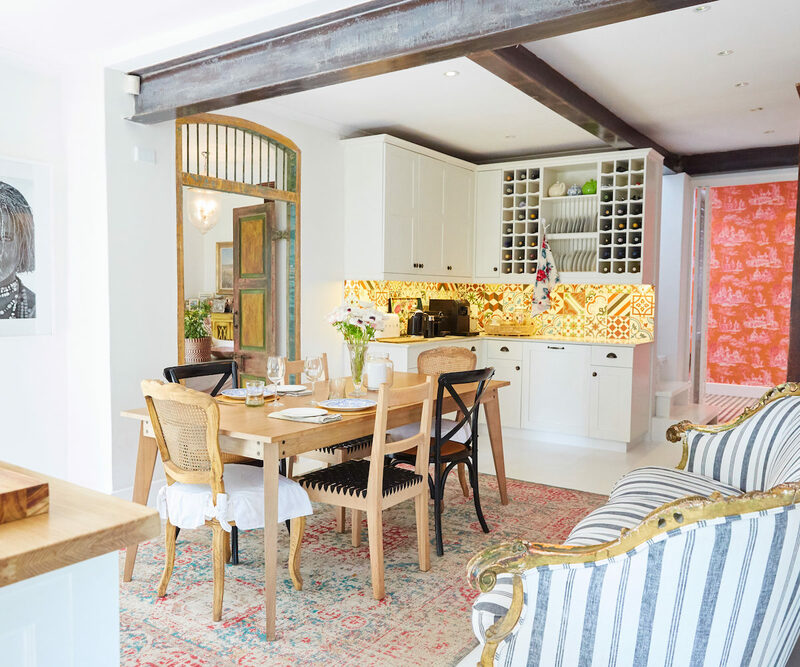 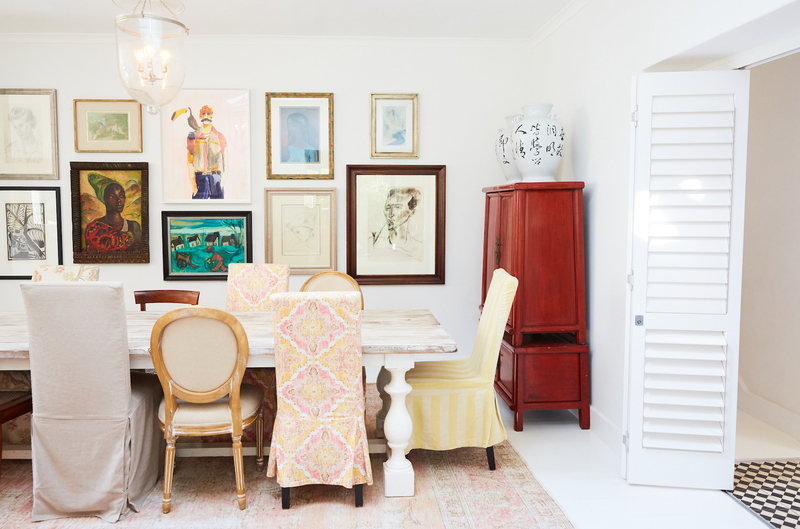 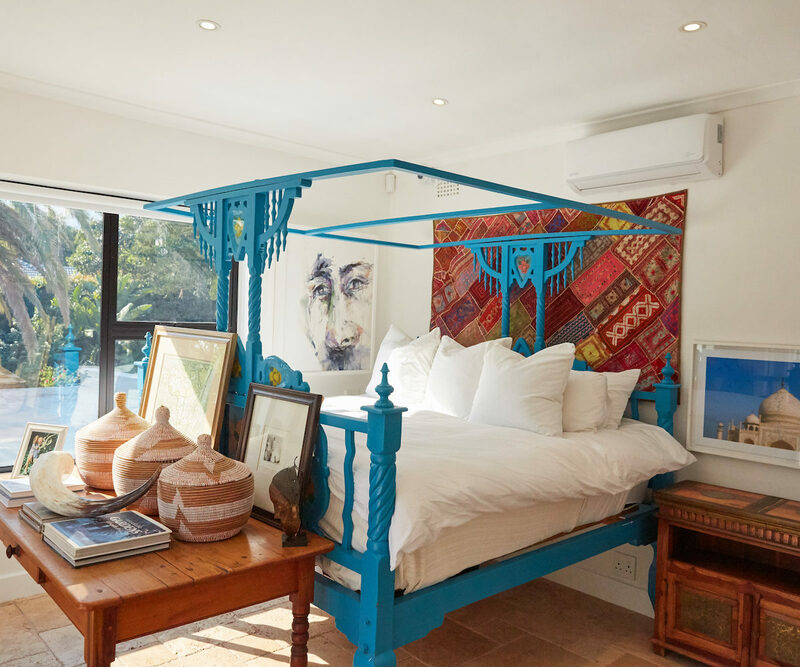 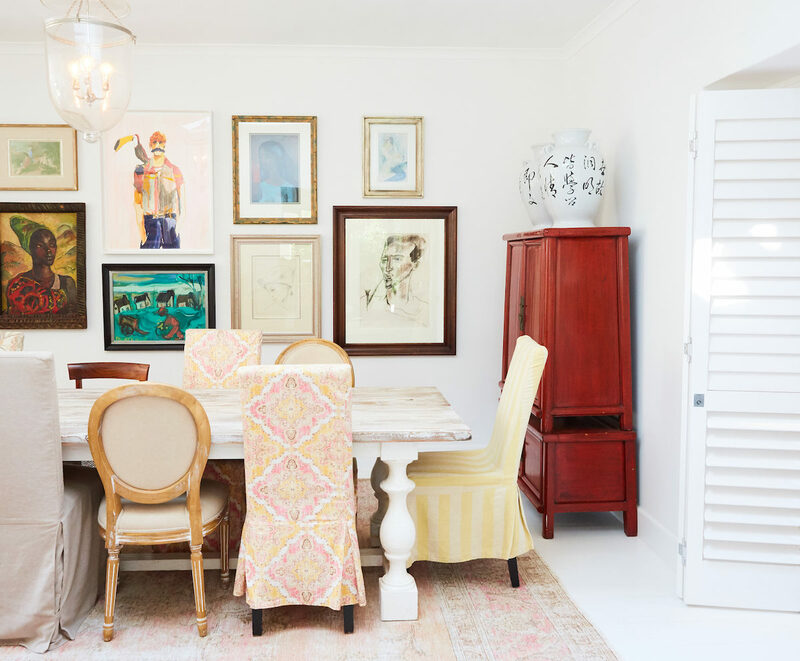 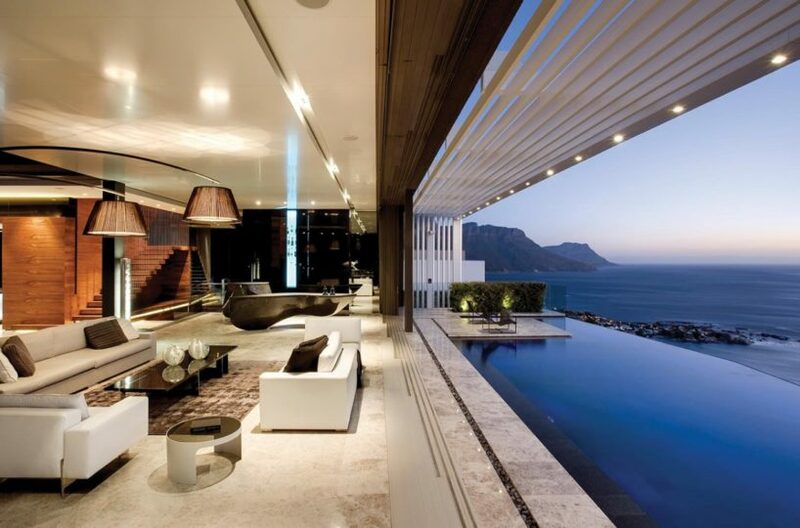 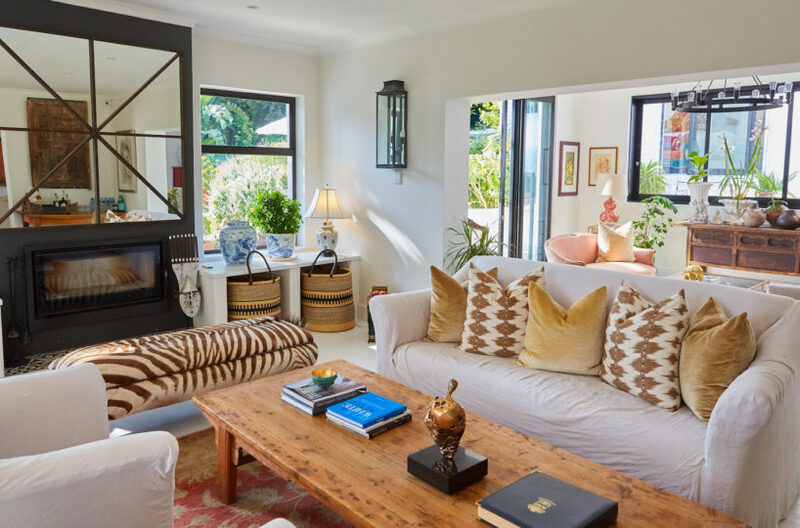 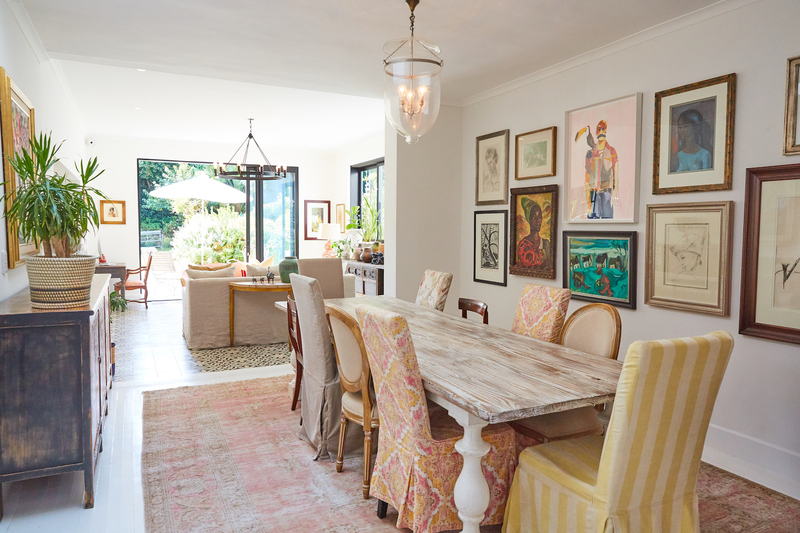 A unique and magical family home in the heart on Constantia. 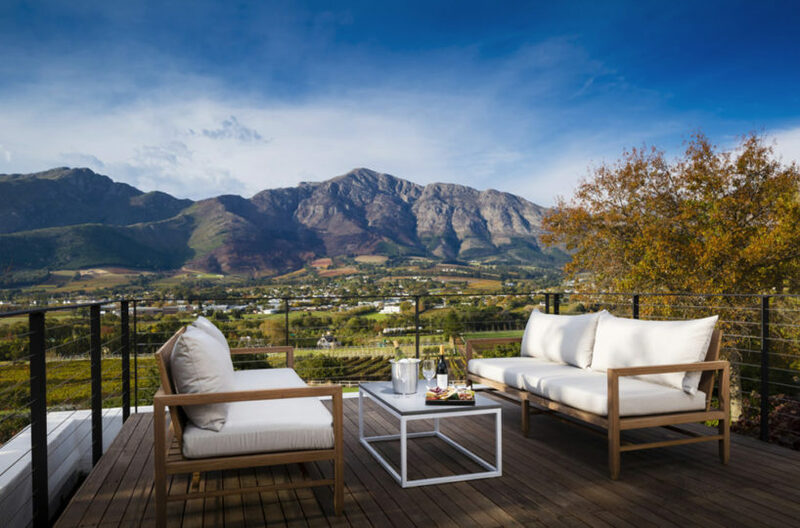 Bell House sits on an historical plot, enjoying beautiful mature gardens and mountain views. 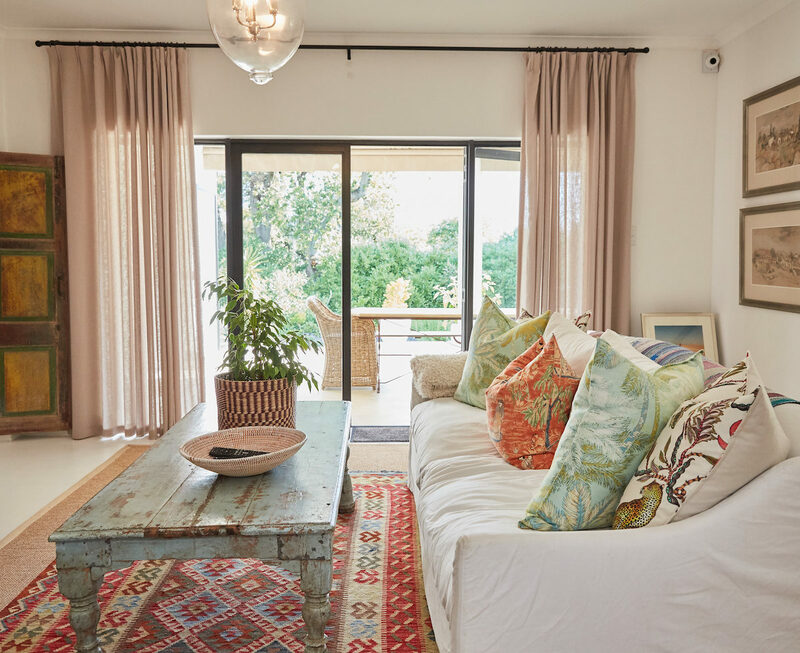 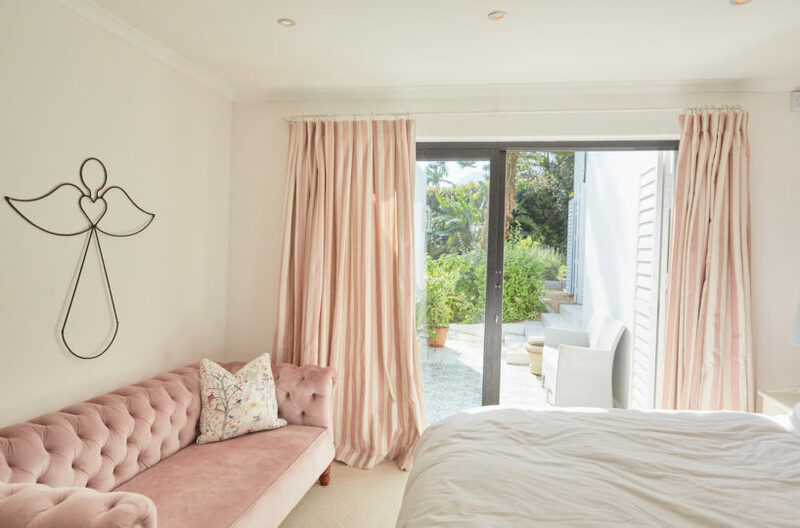 The 5 double bedroom house (sleeping maximum of 11 guests) has been expertly decorated and is light, colourful and luxurious. 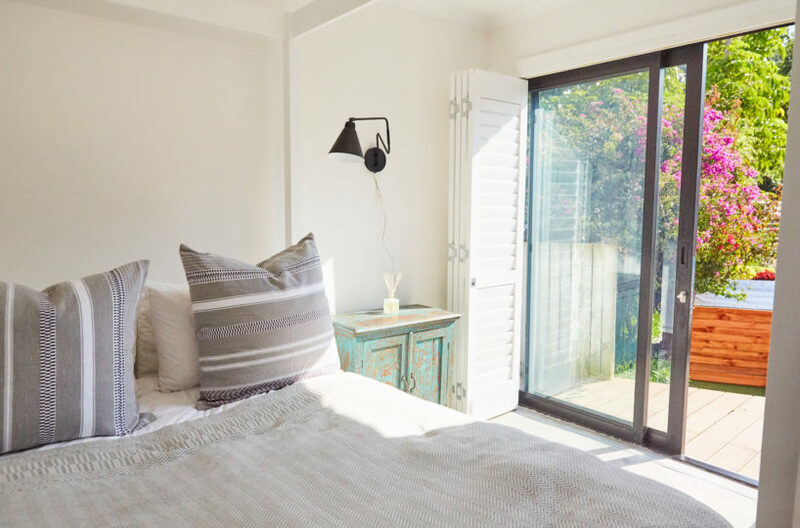 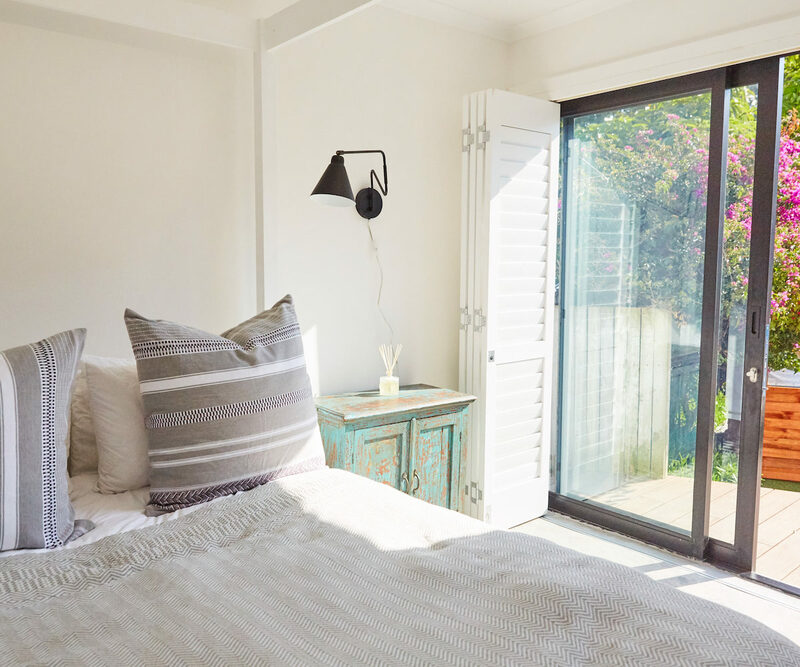 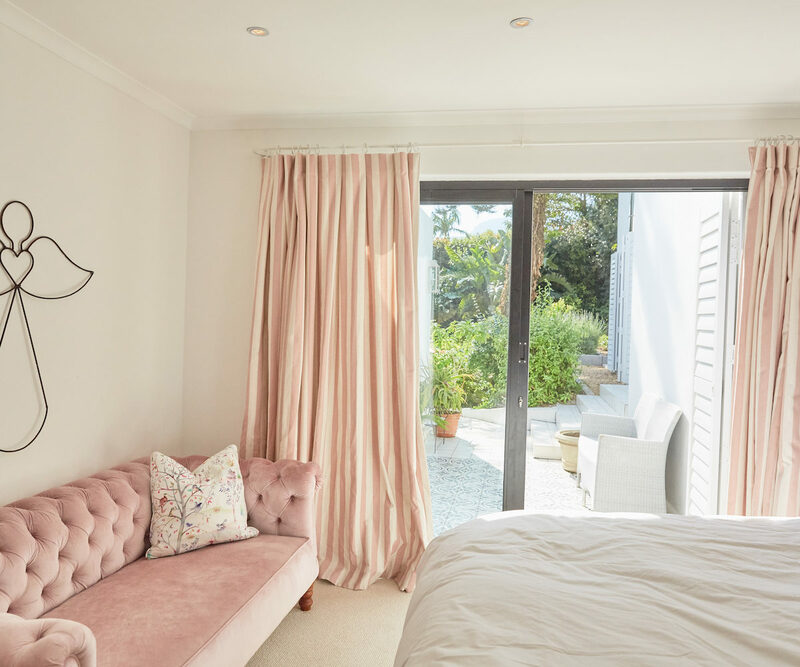 The master bedroom has a king size bed, wood burning fire, garden views, a dressing room and free standing bath in its en-suite. 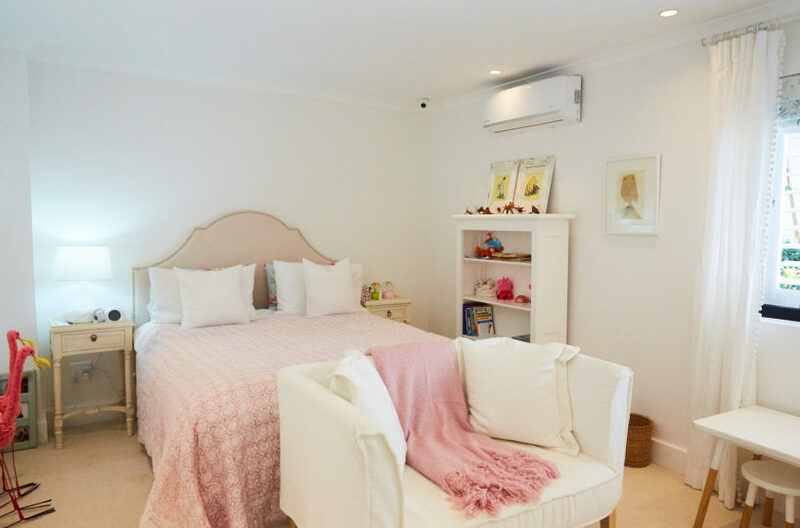 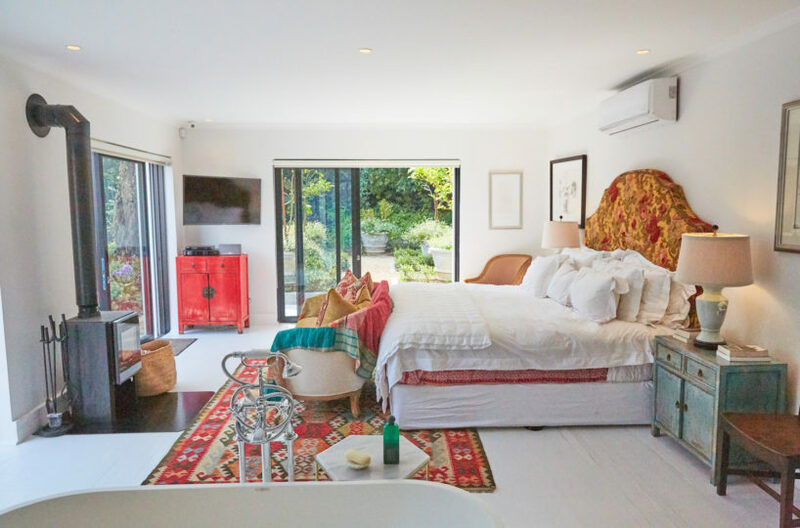 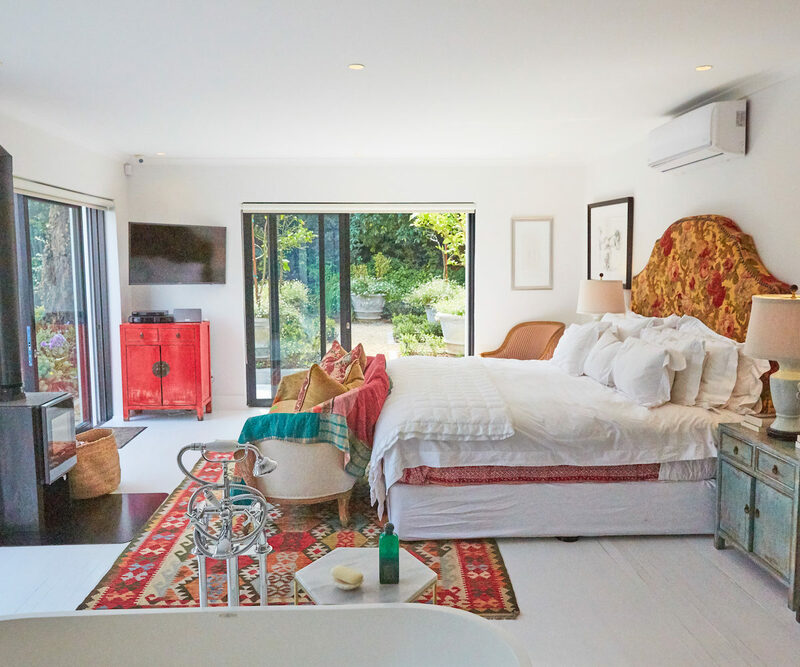 There are two further double bedrooms, en-suite, and two children’s bedrooms, that share a bathroom. 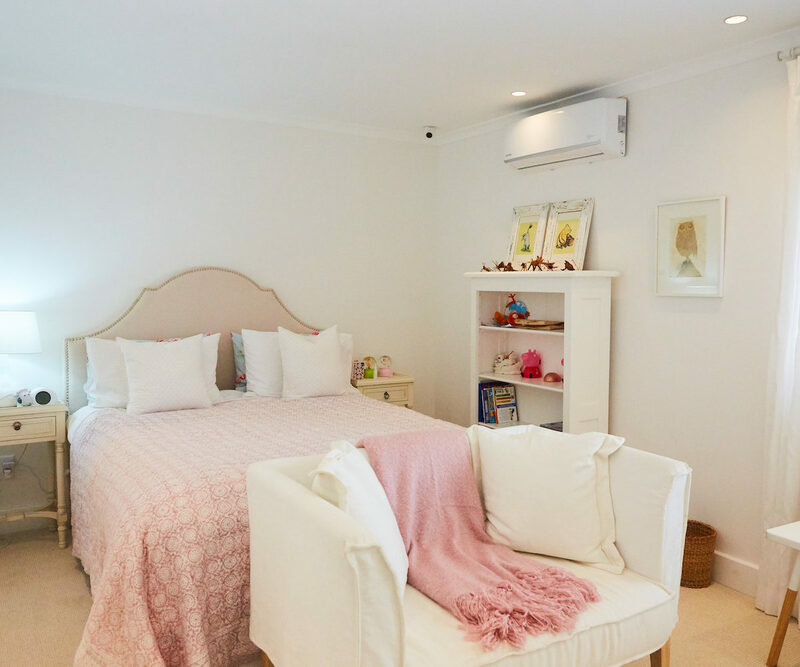 There is also a bedroom for a nanny. 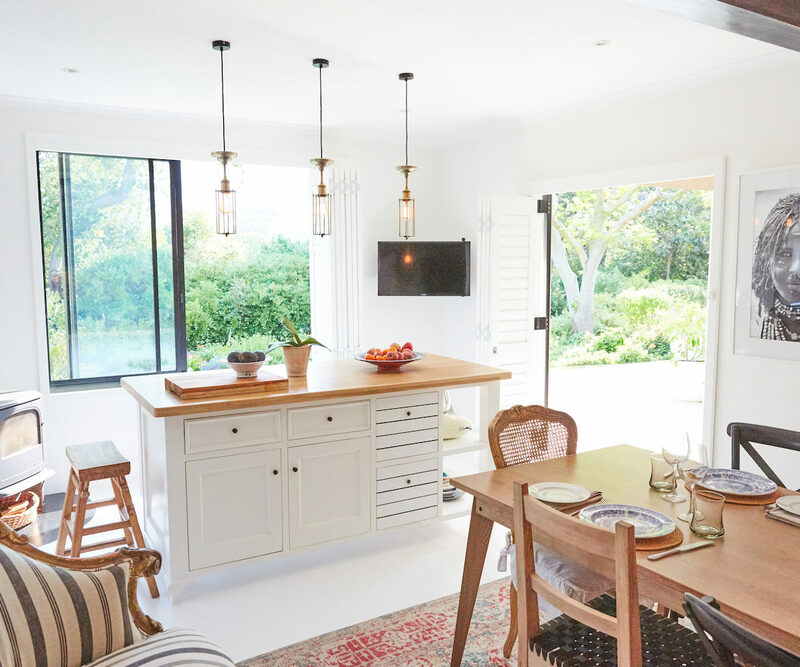 The open plan kitchen leads onto the two reception rooms and more formal dining area. 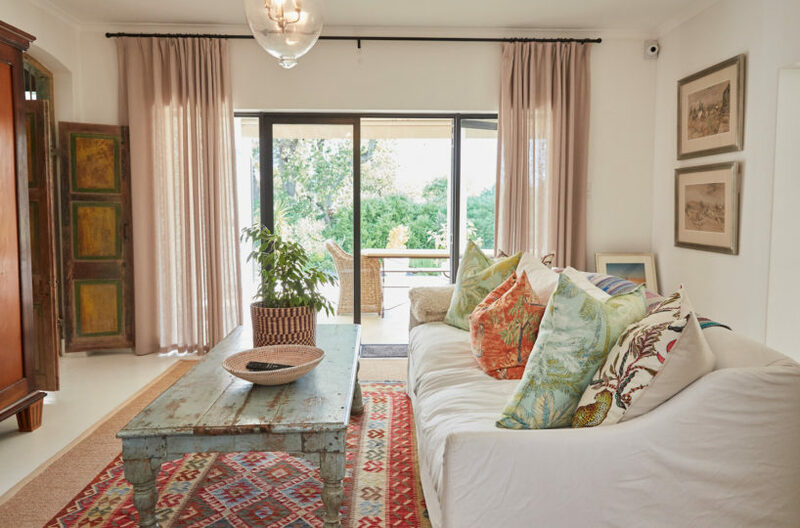 The house has so many different rooms and corners to relax in, you will always find the perfect spot for the occasion. 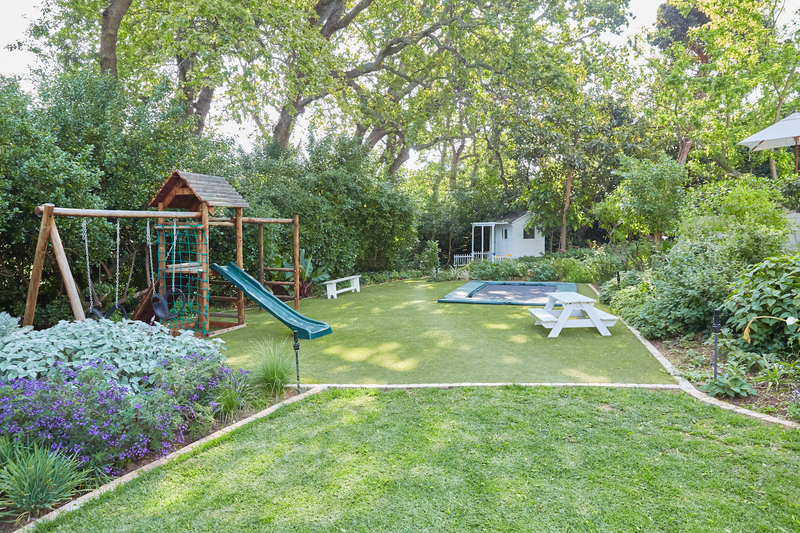 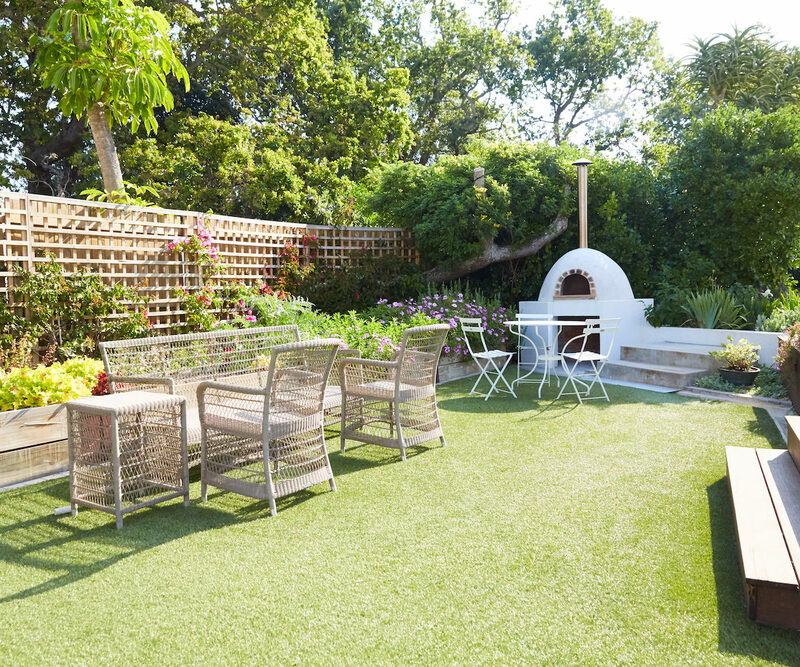 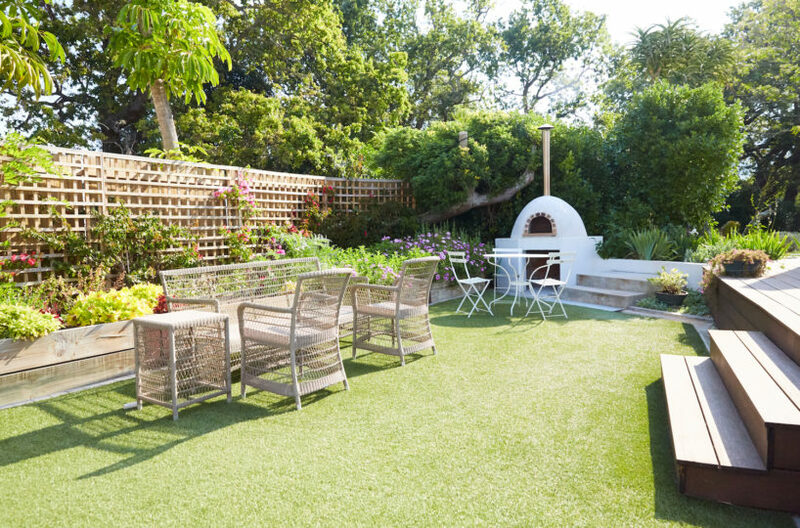 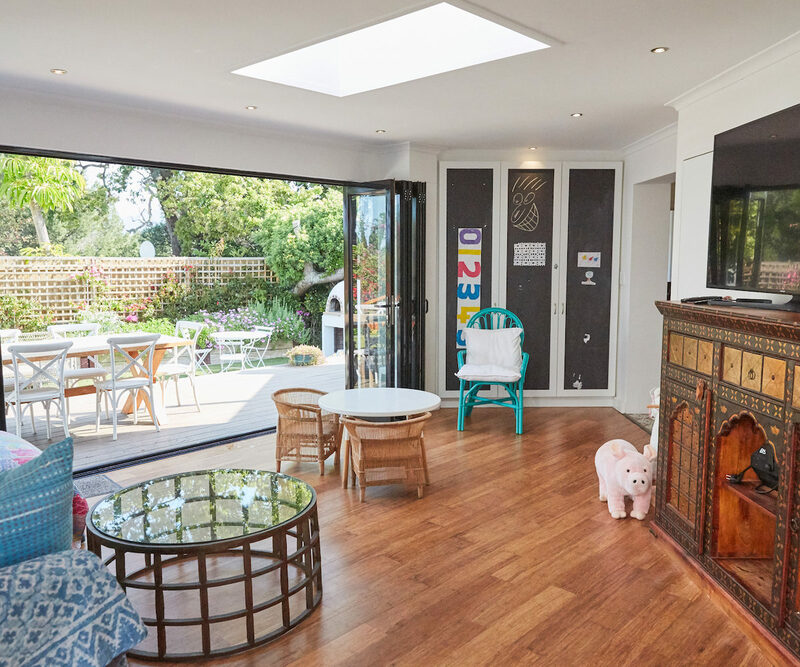 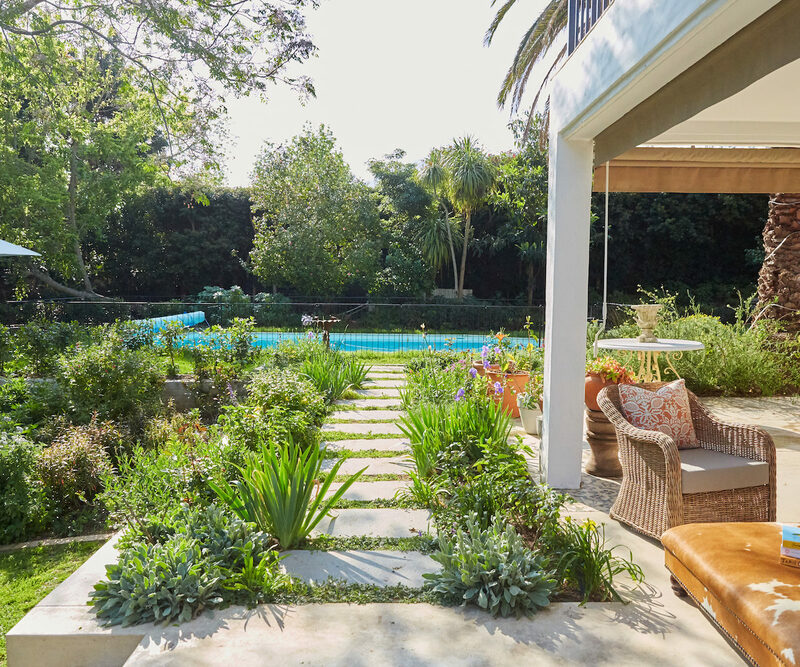 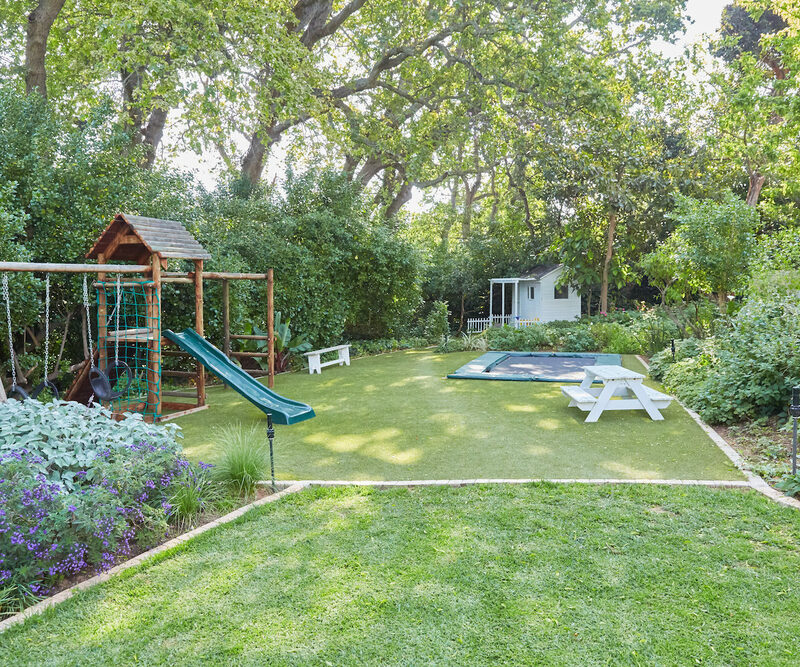 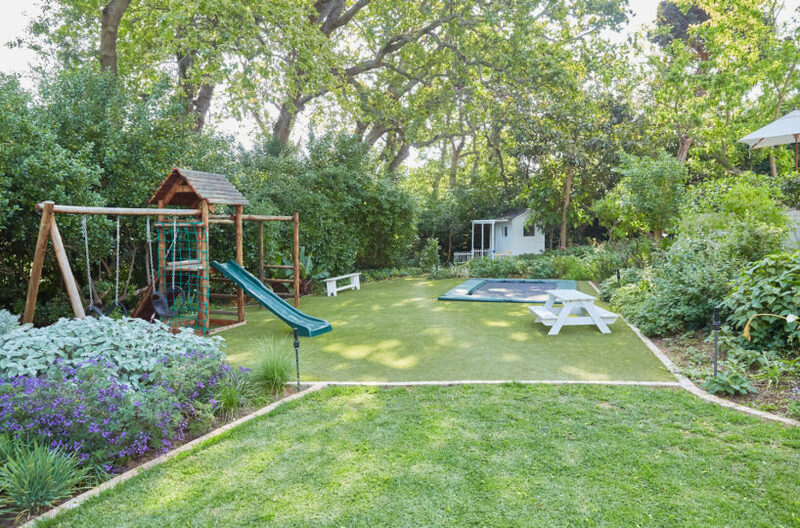 The large garden includes a heated pool (with child safety fencing), a jacuzzi, a jungle gym area for children as well as a separate ‘kids garden’ with outdoor pizza oven. 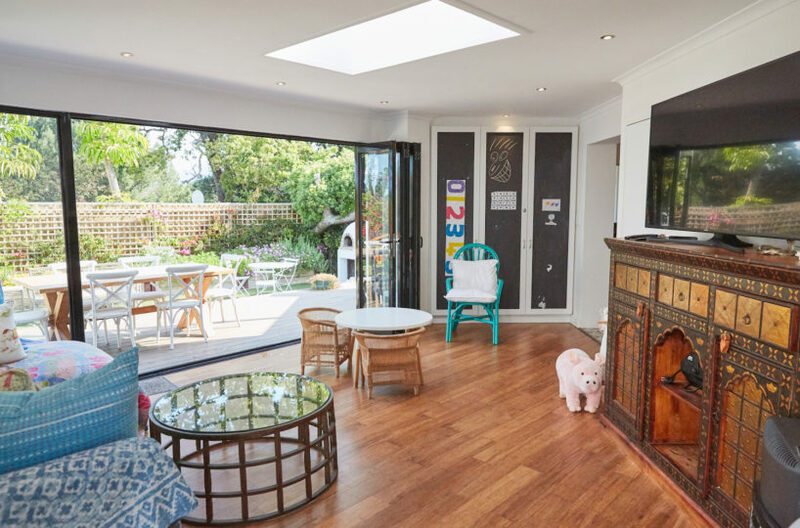 The house is made for a family where the kids will have plenty to do whether in the pool or on the trampoline or enjoying dinner outside at the kids table. 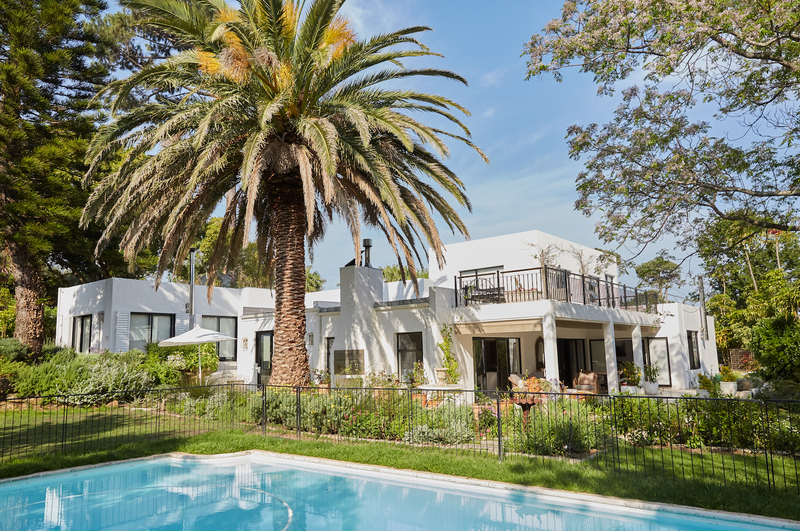 For adults, the decor is mature and sumptuous, the outlook is magnificent and the pool is perfect for doing a few morning laps. The house includes a house-keeper and property manager who live on the property in a separate cottage. 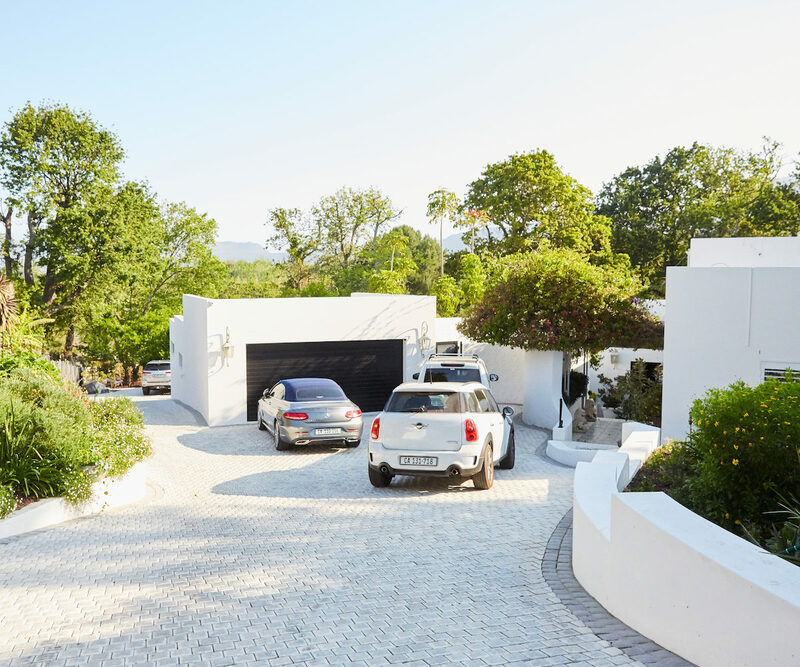 There is plenty of parking in the driveway and excellent security. 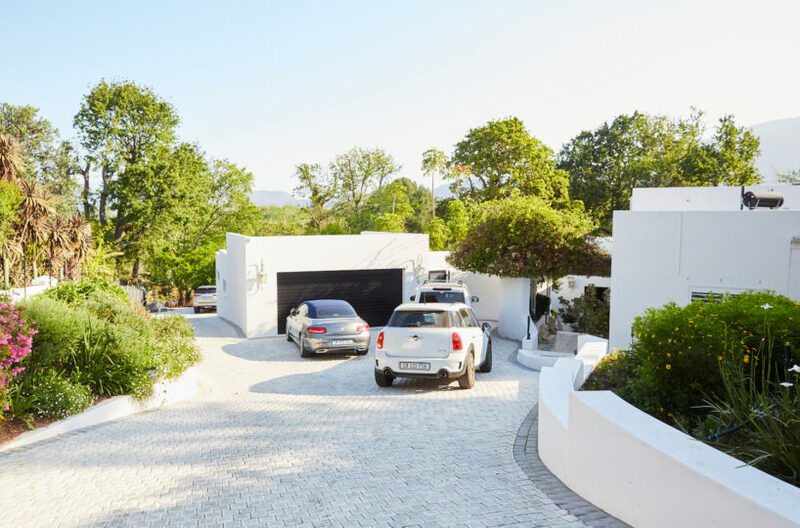 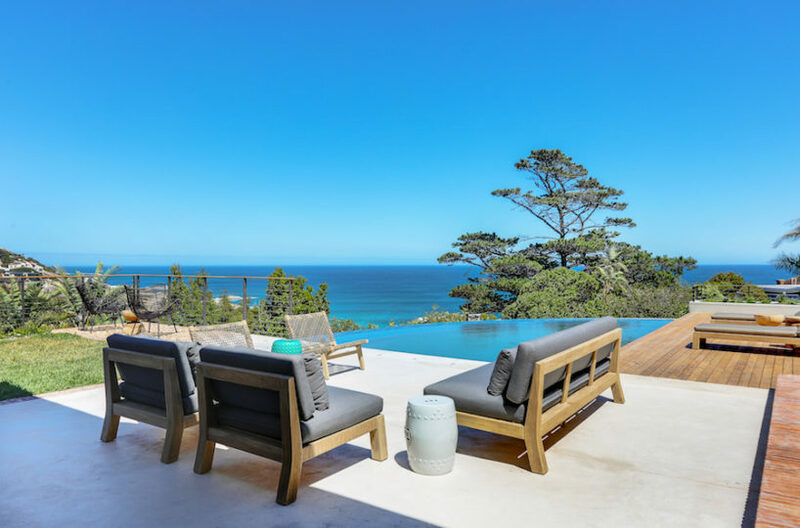 This is a very special home, on the Constantia green belt, 5 minutes from Constantia village, and 20 minutes from Cape Town Airport and the centre of Cape Town.